Power and Coal Minister Piyush Goyal has asked the state-run company to improve the quality of its coal by December 31, 2014. In a stern message to Coal India, the government has asked the world's largest coal company to improve efficiency to avoid restructuring. According to sources, Power and Coal Minister Piyush Goyal has asked the state-run company to improve the quality of its coal by December 31, 2014. The minister has also said that the coal major should pull up its socks and perform in order to avoid restructuring. The Coal Ministry had earlier planned to restructure Coal India to improve its operational efficiency. The PSU, which accounts for over 80 per cent of the domestic coal production, missed its output target of 482 million tonnes in 2013-14 and produced only 462 million tonnes of coal. The company's 7 subsidiaries include Eastern Coalfields Ltd (ECL), Bharat Coking Coal Ltd (BCCL), Central Coalfields Ltd (CCL) and South Eastern Coalfields Ltd (SECL). According to sources, Goyal told Coal India that coal supplied to the power companies should not comprise stones or boulders and it should work towards arresting coal grade slippage. As per experts, coal grade slippage has an adverse impact on power generation. Meanwhile, the Minister is of the view that the power generation companies should have the right to appoint neutral quality samplers. He has also asked Coal India to reduce the quantity of coal sold through e-auction and make that portion of the fuel available to power plants. 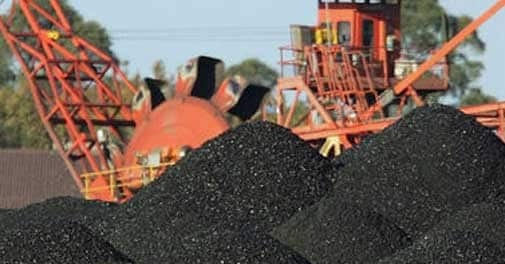 Coal India has been directed to limit e-auctioning of coal to 25 million tonnes this year from 57 million tonnes, sources said. Last week, at a meeting with private power developers, Coal Ministry and Coal India officials Goyal asked the state-owned coal major to make efforts to raise production from its existing mines. Goyal who is also the Coal Minister, met top power honchos, including Anil Ambani, Chairman of Reliance Power, Gautam Adani, Chairman of Adani Group, Vineet Mittal, Managing Director of Welspun Energy, and Naveen Jindal, Chairman of Jindal Power, to look for solutions to address the country's electricity shortage, which was as high as 7,000 MW in May.